WWE disbanded their version of 'ECW' in 2010 after lasting for nearly 4 years. The show was replaced with a new one called NXT and later in the fifth season, it was called 'NXT Redemption'. The five seasons of NXT were more or less like a game show. Several participants- male and female, entered the show and the winner got a chance to become a WWE Superstar. In 2012, this show was revamped with the FCW developmental territory and is now called NXT. Only this time, the wrestlers were truly able to perform and showcase their talents to the audience. The show garnered a lot of popularity mainly because the wrestlers had great matches and intriguing yet simple storylines. NXT has become a huge deal in WWE in the last few years. The crowd at NXT(particularly Full Sail Arena) is more interactive with the wrestlers due to the small, intimate nature of the tapings. With that being said, there have been 14 NXT champions in past. Here's a list of 5 superstars who could very well become the NXT Champion in 2018. 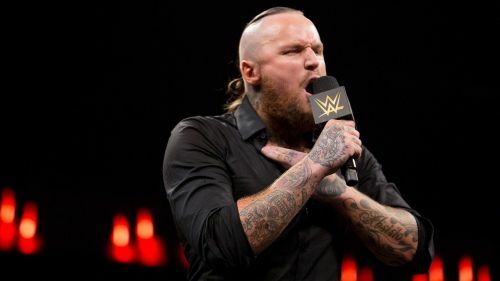 Aleister Black, formerly known as 'Tommy End' made his NXT debut in early 2017. Black had an extraordinary year in NXT. He went on and faced some big names in NXT like Hideo Itami and Velveteen Dream. 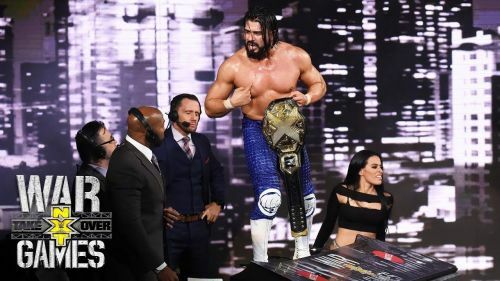 Both the matches he had with Itami and Dream at NXT TakeOver Brooklyn 3 and War Games respectively, were well received by the audience and critics alike. 2018 is about to begin and there are some amazing things planned in for Black. Backstage officials are very impressed with Black and this will surely give him the boost he needs in the coming year. With a unique move set and hard hitting strikes, Black will surely become a top contender in the NXT brand. With that being said, Black might become the NXT Champion in 2018. With the list of opponents he defeated and the matches he has had, Black can surely be an excellent NXT Champion in the coming year. 2018's NXT call-ups: How successful will they be?